I couldn’t agree more! A splash of colour was much needed in London today. Dreary and cold (-14 F) here in Minnesota–definitely need some color! I like the fact that I can enjoy them now and then plant them in my garden in spring! 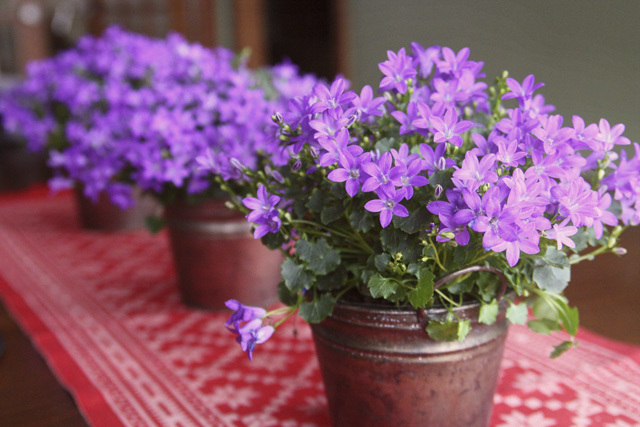 I have never purchased campanulas before, but they are an instant favorite here! Thank you–I know you love flowers!